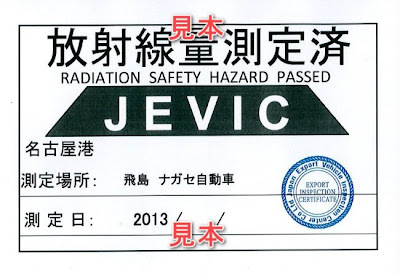 All our vehicles are inspected by JEVIC which is the inspection company on behalf of the port authority of radiation dose before we do the custom clearance at port before shipment. If the radiation dose is higher than 0.3 micro sievert per hour, any vehicles are not allowed to through the custom clearance by port authority. Therefore, you can import the car from Japan without any problem. If you are going to buy the car from Japan, please buy the car from reliable supplier. When you search the car on the internet, you would be better reconsider about the strange lower price car. 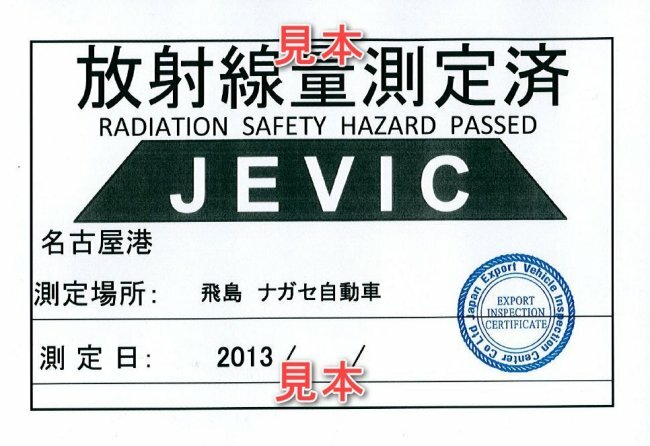 All our selling vehicles are cleared the radiation check certificate of JEVIC as follows.